Mountain biking is a sport almost identical to the classic cycling with a difference in the field for the ride. This type of riding is based on driving on the mountain, and off-road terrains. It is for those individuals that enjoy a hard sweating and a challenge that may push them further and further of their own limits and know strength! The bicycles used for this sport are adjusted with using wide tires with studs, wide range transmission, brakes and special shock absorbers located on both wheels. This sport has become largely popular during the warm and dry months of the year in any mountainous regions and has been gaining more and more popularity. Mountain biking is a dangerous sport and, even though we all sometimes push the boundaries, there is a thin line between safe and irresponsibility. Even though this type of activity falls under the category of ‘extreme sports’ there are more and less aggressive versions of terrains. However, there are some essential skills and knowledge a rider must know before taking a serious mountain biking route… So here’s a quick guide on what all should have when mountain biking, as well as things to be cautious off. Always wear a helmet, and all other necessary safety equipment, and never drive over their abilities. In those situations when you are on a significantly challenging route, there is no shame if you walk a few parts if you feel that you do not have enough self-confidence to ride over the critical part then do not let anyone convince you otherwise. It is also important to use exemplary equipment, depending on the terrain, but bear in mind that if you are in an unfamiliar terrain and you see footprints of tires on the road, that still does not mean that they can be transported to your bike on every occasion! 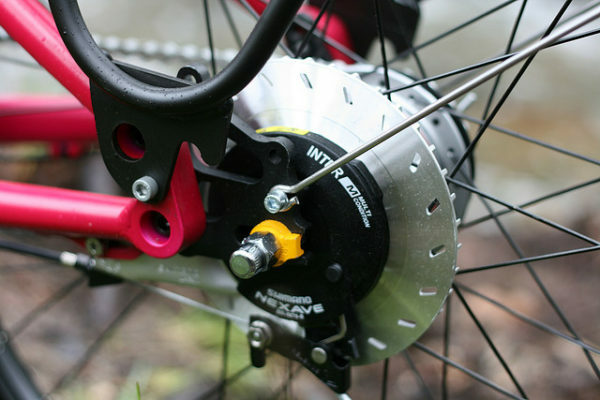 It may seem obvious, but just as a sports car should have an excellent brake system to be held up well at high speeds, your mountain bike should have a good brake system if you plan to drive at high speeds or descents. It will provide not only a faster ride but also a better control of the bike. Never squeeze the handles too hard because it makes the upper part of your body tense and because of it, you will get tired more quickly on a long run. 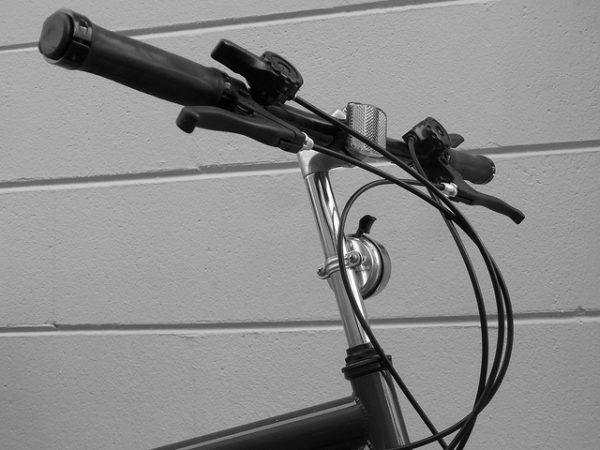 Loosen the grip, be relaxed but firmly hold the handles of your bicycle. In addition, never place the thumb over the control- this will allow you to loosen the grip if you hit something unexpected. A proper position of the elbows, as well as relaxed shoulders, can also help with soothing the external hits your body receives in rough terrains. Just like driving a car with less speed requires less power to operate at that rate, the same goes for a bike ride. You will need a lot more pedal to advance a shorter distance at low speed, but you will easily overcome greater amounts of resistance. Higher speeds allow you with a few heavier pedaling to master a greater distance, but it will not be able to drive up a hill in one of these speeds. Higher speeds are used primarily on flat terrain, and the lower primarily on demanding terrain and hills. Always keep the speed under control. This will allow you to avoid unforeseen obstacles in the way, or perform a sudden change of direction. Slow down on the curves particularly because you never know who or what may be lying upfront. Some terrains are harder than others- one has moister filled ground, some are filled with rocks etc. It is very important to become acquainted with the terrain you intend to drive. Knowing the map, type of soil and talking to people who have actually ridden that particular terrain can introduce you properly to all potential risks a bike trail can contain and a rough estimate of the speed and effort you need to finish the track. One of the tricks to stay on the bike for as long as possible is to choose a gear that can offer enough resistance for balance and support the second coming moves on the terrain. Always keep in mind the consequences of falling before you decide to carry a certain demanding stretch of road. Sometimes a section of road seems easy to drive, but a fall even from a simple trail can have deadly consequences! In order to avoid this start with simple tours, and then move to other levels that are more challenging. If you think what you do is not the smartest thing, you’re probably right. Think about what you do and trust your instincts. There are lots of ways to increase safety in mountain biking. Some say that wearing a helmet is the most important step that they made in their lives. Another even more important step is that you never forget that ride under control. Supervision of the bike not only helps prevent accidents but also others in the same way they feel safer. 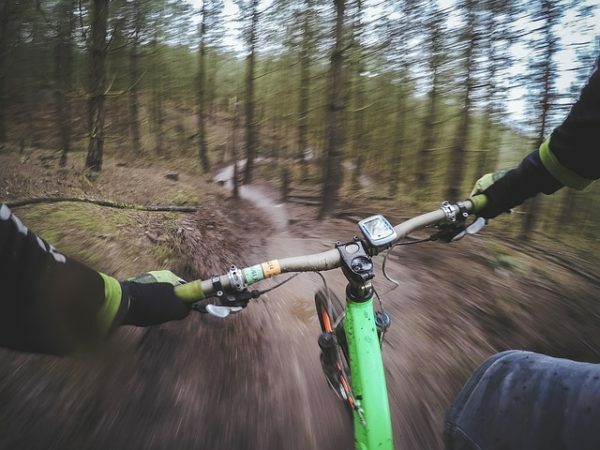 Learning basic mountain biking skills, as well as owning a proper bicycle are highly connected to the riding experience and safety of the rider. You should always plan a few steps ahead and choose a path in which you intend to drive. When you choose a path, be sure to follow it. If you hesitate because of having a fear or obstacle in front of you, the most common thing to go is in the wrong direction. Hesitation halfway to the finish line will most likely lead to a fall, and the risk is twofold if you walk down the downhill. Stop and review the way for parts, especially in places that look like they will be a challenge before you try to carry them. Moreover, it happens often that during rides, as our looks are mostly fixated on the front tire that we miss the obstacles that are crucial to being safe during these rides. Looking a bit further ahead, and away from the tire, you have plan on how to avoiding a next obstacle when spotted. A little piece of practical advice is that when you see an obstacle you should look your way around it, not preoccupying yourselves in ways on how to simply avoid the obstacle in the first place. Improve your skills in beginner’s mountain biking by overcoming right turn at low obstacles. You will fall and crash your bike only if you do not let the bike to do what it was designed for. For larger obstacles, use the MTB bike joints as springs or shock absorbers while standing on the pedals. Over larger facilities drive pedal in the same level (parallel to the ground) unless you decide to pedal over obstacles. Make sure that you maintain speed, and whatever you do, do not suddenly slow down before the barriers. This could lead to accidents, especially if you have jumped to squeeze the front brake. The fall of the mountain bike is just another part of driving on it. It may sound silly, but there is a technique of falling.